The Ultimate Counter Surveillance Device For 2011! • Alerts Can Be Set To Vibration or Buzzer mode! 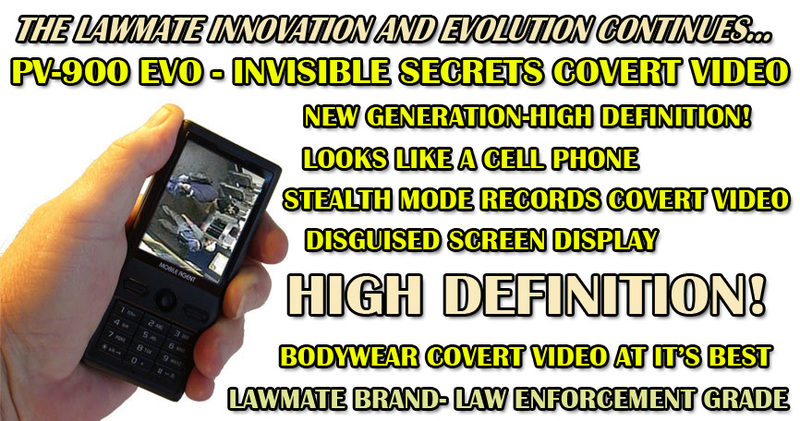 The WCH-300X is amazing new technology from LawMate, the famous name is high end video and countermeasures gear! With the built in DVR and RF/AV state-of-the-art scanning ability, this is the ultimate in Counter Surveillance equipment. It detects RF AV video signals and instalty locks on to what it finds. Scanning variousd video frequencies, the unit finds hidden cameras transmitting and lets you see exactly what the camera sees. With the built in DVR which records to a Micro SD card (32 GB Max), you record the live video evidence the unit picks up! The 2.5" color TFT high resolution screen will not only display the video it also shows you the exact frequency. Not only that, this LawMate grade unit has very fast scanning ability! In ten seconds of less, you quickly locate, display and record any hidden wireless cameras. You have a choice of alert modes by either silent vibration mode or tone alert mode once the unit locks onto a video. 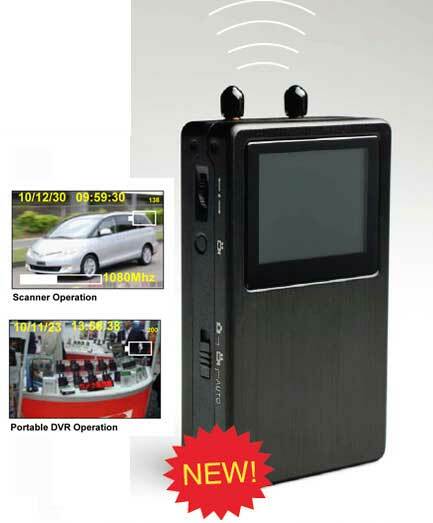 The WCH-300X from LawMate can also be used as a high grade portable DVR unit in which you can plug video cameras into it. featuring an all metal rugged and durable housing, this LawMate Grade unit works great for heavy-duty functions for law enforcement, private investigation, counter surveillance and countermeasures room sweeping, covert video operations, camera installer positioning and general investigative use. 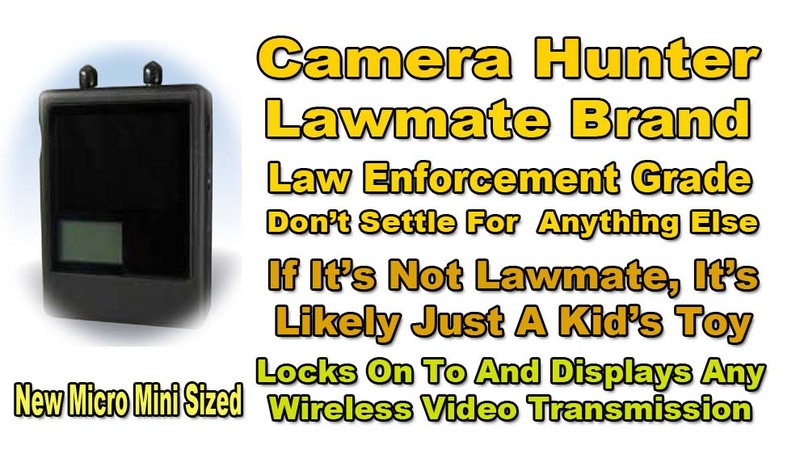 • Invented By LawMate Which Means Law Enforcement Grade! With rapid video Scanning and video recording ability, this LawMate Grade product is the ultimate covert video and counter surveillance operations unit! 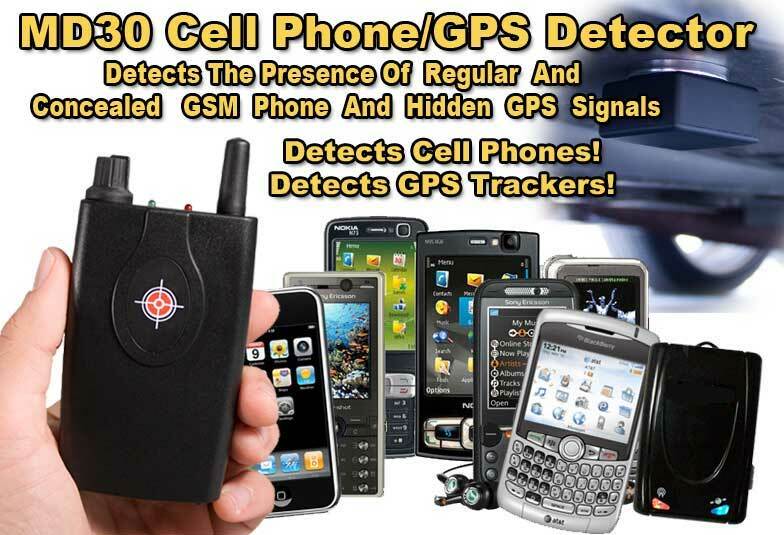 Get yours today and step up to a new generation of investigative and law enforcement grade gear!